Staying in an apartment was great as it meant that we could save money by making our own meals in the evening and then not feel guilty about eating in cafes during the day. Another advantage over staying in a hotel where you get breakfast is that we could instead enjoy my favourite meal of the day – Brunch. And in Copenhagen they really ‘get’ brunch. Big platters of scrambled eggs and savoury items, pancakes, fresh fruit and yogurt. The kind of food perfect for eating slowly as you sit and chat. To me that is brunch. It is in stark contrast to when I worked for Safeway (supermarket) as a teenager and the café served a full English breakfast until 11am then it became brunch. I asked what the brunch was – ‘The same as breakfast, but you get chips with it’. 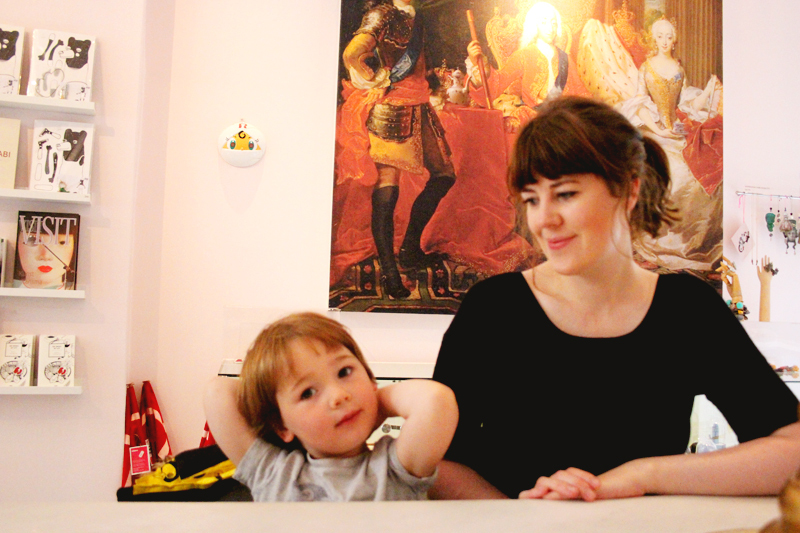 Here are three great cafes that we visited. 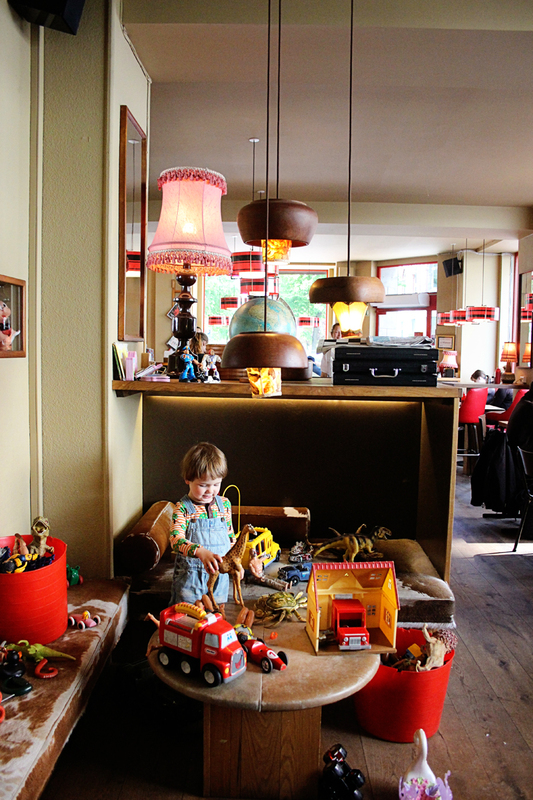 There are three branches of this café in the suburbs of Copenhagen. We visited the Fredriksberg branch twice. I had a fantastic (and different) brunch each time, with big chunks of freshly cut pineapple and melon as well as eggs and cheese. In fact, you get so much food that the second time we visited, Wilf shared my meal and happily ate pancakes with chocolate sauce, yoghurt with granola and fresh fruit, whilst I concentrated on the savoury items. I liked that the brunch menu was divided into two sections dirty (with meat) and clean (vegie). 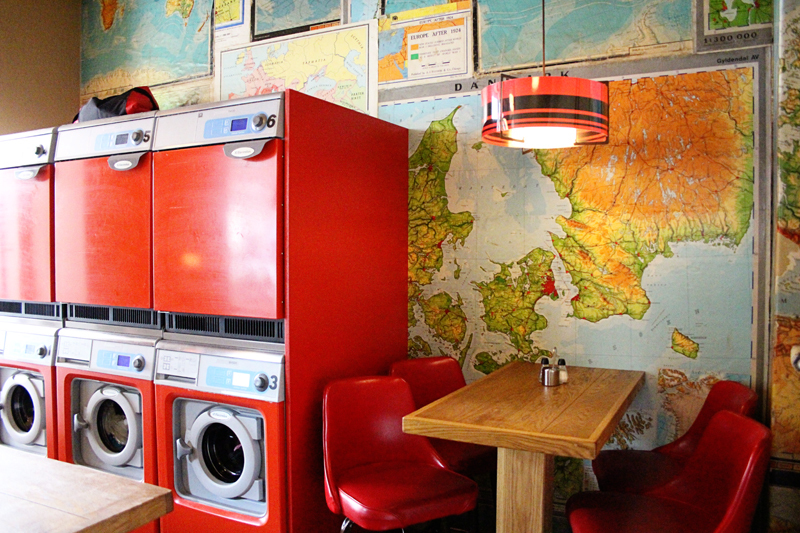 The décor is quirky and there are still working washer/dryers, the original concept being a café that you visit whilst doing your washing. There was a great kid’s corner with more toys that Wilf could play with. 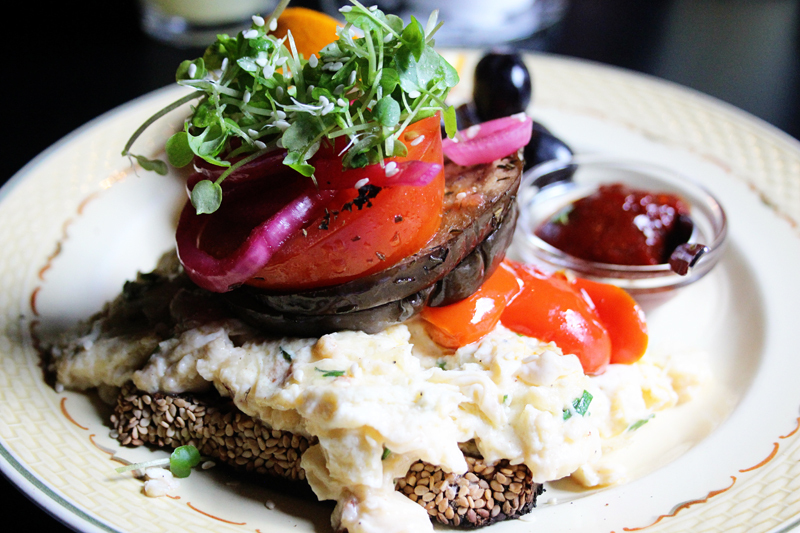 Another great brunch destination in Vesterbro. The décor is dark with candles on all the tables, it seemed like it would be the place to go for great cocktails at night. This was backed up by the quality of the home-made ginger beer. A great place for vegetarians they did and imaginative veggie and vegan brunch. The highlights being a (again home-made) vegan burger and a delicious cottage cheese pancake. This place was recommended to us by Emma from Raising Bears. We visited at lunch time and were really struck by the helpfulness of the staff. The children’s lunch option wasn’t veggie, so they asked some questions about what Wilf ate and liked, then came back with a platter of tasty things made just for him. Fritha had an enormous salad and I tried some smushi’s. 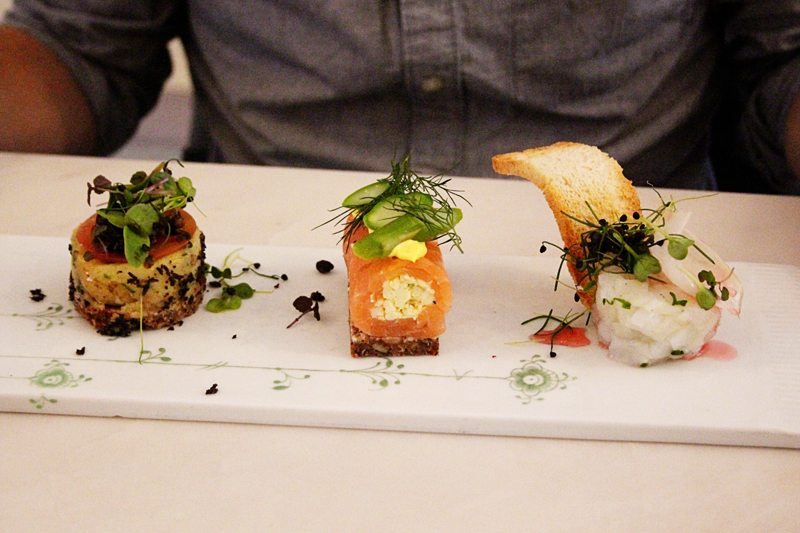 A combination of smorrebrod (Danish open sandwiches) and sushi, they were absolutely delicious. 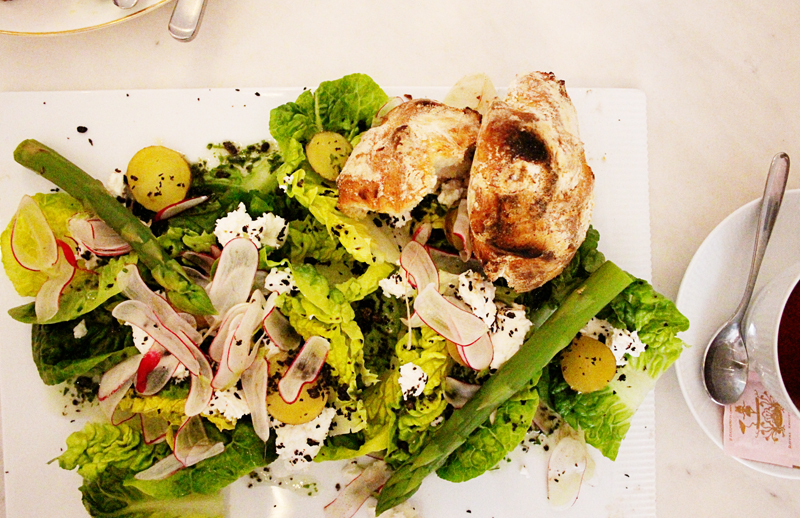 Little immaculately created towers of flavour, like a fine dining version of sandwiches. We then shared a cake and being English I washed it down with a cup of Earl Grey. My only regret is being too full to try more cakes, this would be a great place to visit for afternoon tea. 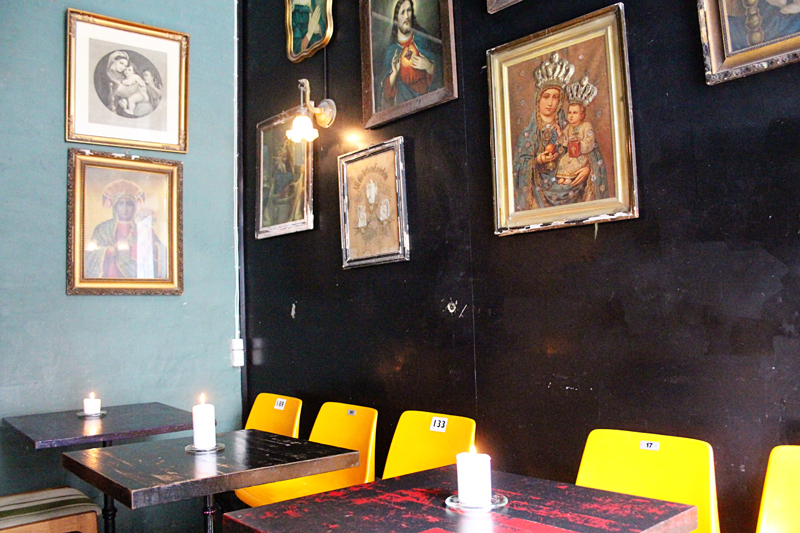 A real gem with a little courtyard hidden off the busy shopping buzz of the Stroget. Granola – this looked like another nice brunch venue, and there were people queuing outside for a table. Bio Mio – We had planned to visit this organic diner style venue on our last day, but we were still too full from brunch at the Laundromat. 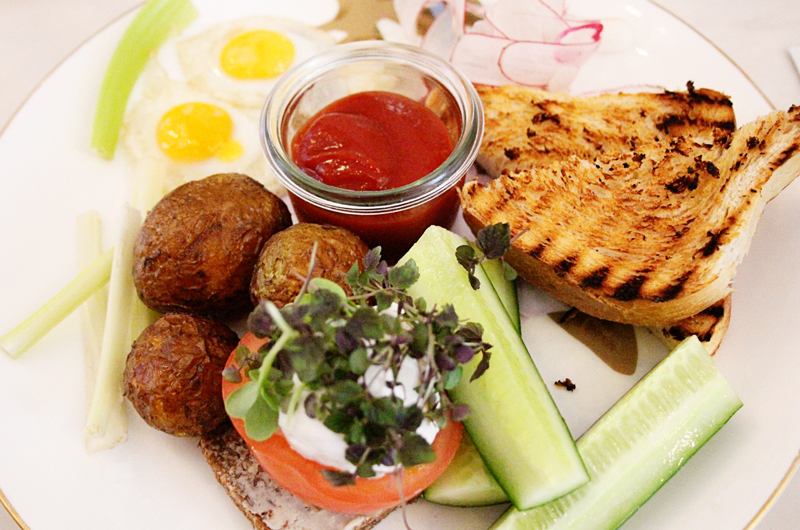 Ooh brunch Copenhagan style sounds incredible, a far cry from Safeway! Oh, I loved Royal Smushi - the cutest place! I so want to go back there. Oh I love the sound of all of the places you visited. I too love brunch, espeically at the weekend. all of the food in these places look delicious, and i am loving the decor too!